Corn flour is an important ingredient in many foods found on the shelves of your local grocery store. Why is it so great? 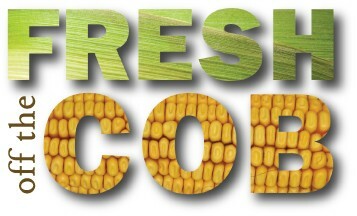 Three types of corn are commonly used as a bakery ingredient: yellow corn, white corn and alkali-processed corn. We’ll focus on the type that Didion processes – yellow dent corn. Yellow corn flour’s short-texture proteins give baked goods a crumblier feel than traditional wheat flour. Corn also adds a sweet, nutty flavor to recipes – perfect for breads, muffins or adding in to other recipes. In addition to taste and texture properties, yellow corn flour has a number of health benefits for those who require a gluten-free diet. Corn is naturally gluten-free – because it does not contain gliaden or glutenin, the two specific wheat proteins that have been shown to cause sensitivity to gluten. Yellow corn flour brings protein and starch to recipes without causing sensitivity, making them perfect for gluten-free baking. It has great taste, texture and nutritional benefits. It is a simple, recognizable ingredient on nutrition labels. No wonder yellow corn flour is found in many products on your grocery store shelves. It’s naturally good, made great!